A new study entitled CONCEIVE has been launched to understand more about pre-eclampsia, charting pregnancy from conception to birth. The research, carried out by Imperial College, London, uses state-of-the-art monitoring and scanning equipment to collect cardiovascular data on women. The project will collect and analyse a range of measurements at Queen Charlotte’s & Chelsea Hospital to provide a comprehensive picture of early pregnancy. Pre-eclampsia occurs in about five per cent of women and can be life-threatening for mother and baby. Severe pre-eclampsia contributes to about 15.9 per cent of maternal deaths in the UK and about 1,000 babies die each year because of the condition, mostly because of complications of early delivery. Dr Lin Foo, Clinical Research Fellow at the Department of Surgery and Cancer at Imperial College London, who will be running CONCEIVE, said: “This is a unique project. It is a fantastic opportunity for women to have their pregnancy and cardiovascular status documented closely as part of the study, and the data collected will be invaluable in helping our understanding of certain mechanisms associated with pre-eclampsia. 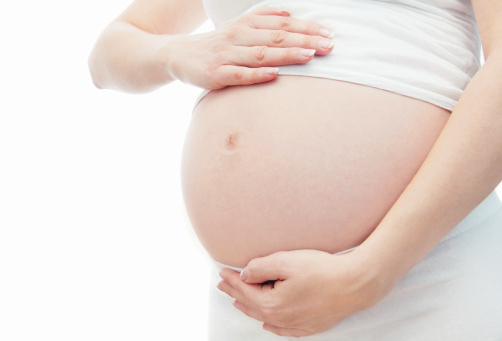 The CONCEIVE project will aim to recruit 600 women who are planning to start a family and follow them over 12 months. The women will have an initial assessment, which will include various cardiovascular tests, such as detailed assessments of blood pressure, and cardiac output - the amount of blood pumped by the heart per minute. These tests are all safe and non-invasive, and will provide a much more comprehensive picture of cardiovascular health and information on any changes that occur during pregnancy. Participants will also be provided with a fertility monitor to chart their fertility-associated hormone levels, and tests for pregnancy. This will provide valuable data on early pregnancy, including the date of conception and implantation of the fertilised egg to the wall of the womb. If participants become pregnant, in addition to standard scans at 12 and 20 weeks, which will be carried out as normal in their own hospitals, they will have a series of four scans at 6, 10, 24 and 34 weeks gestation. At these times the mothers will also have cardiovascular measures taken as well as blood and urine tests. The project will be based at Queen Charlotte’s & Chelsea Hospital in west London with collaborators from the University of Cambridge. It is funded by the National Institute for Health Research (NIHR) Imperial Biomedical Research Centre (BRC) and Imperial College Healthcare Charity.